Amy, how do you describe your work? 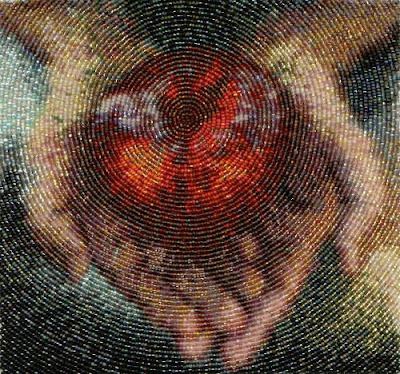 I describe my work as bead embroidery. 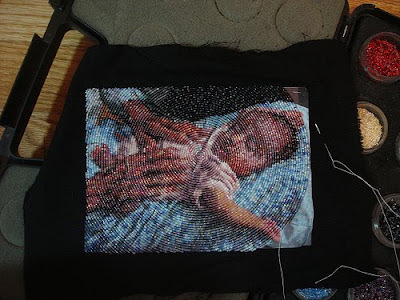 In greater detail, it is bead embroidery using size 15 Japanese seed beads. New pieces percolate constantly in the back of my mind. They pop up unexpectedly and I try to jot them down while they are fresh. I keep notebooks and sketchbooks handy for that reason—but I also rely on my camera to help me capture ideas (since I start with a photograph that I’ve taken). Some ideas are harder to capture in a photograph than others. I grew up in a nurturing environment where creativity was encouraged. My mom—a watercolor artist—rather than sitting us down in front of a TV, put crayons, paints, and clay in front of us. As a result, my brother is an artist (working in watercolor, oil, and acrylics), my sister is a photographer, and I am into everything fibery—from spinning, knitting, weaving, and felting, to embroidery and beads. 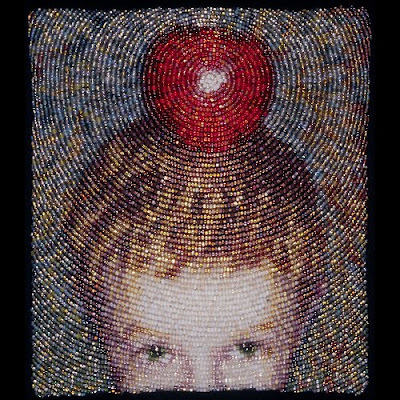 I studied art and fibers at Cornell College (under bead artist Mimi Holmes) as an undergraduate, and earned my MFA in fibers from Colorado State University under the embroiderer, Tom Lundberg. I rarely leave home (even to go to work) without my bead case. Fairytales, mythology, children’s stories and books I’ve read generate most of the fodder for my work. I love stories that resonate throughout generations and across cultural divides. 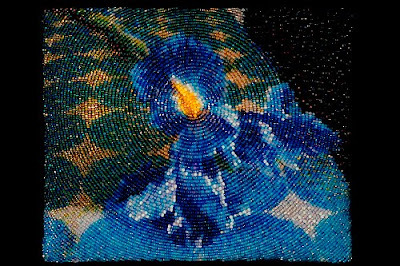 Beadwork is what I do to relax—it is what gets me through days that are frustrating and tough. If I’m struggling with a piece, I set it aside and start another one. I let my subconscious work on the troublesome piece—and usually work it out while I’m sleeping. Make things that please you. It is really easy to get caught up in trying to make things that other people will like—but if you can make things that make you happy, then that happiness and contentment will show in your work. I’m a full-time working mother (and wife)—so there’s always a lot to do. My husband and I have a three-year-old daughter who is an amazing source of inspiration and so much fun. She’s already learning how to bead. During the day, I’m the editor of Spin-Off magazine published by Interweave Press. I love my job. Pride and Prejudice by Jane Austen and all seven of the Harry Potter books by J.K. Rowling. 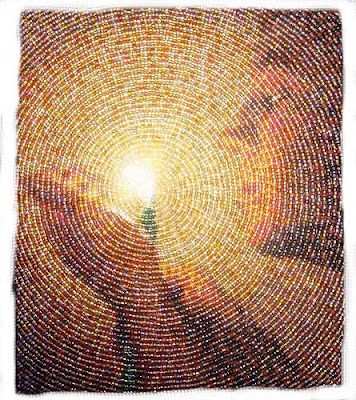 I love how you bead in radiating circles! It looks much better than filling in the spaces with weird shapes. OMG these are some amazing pieces!! !